crunchy stems from summer into autumn. 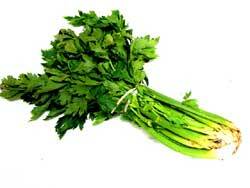 Celery is a biennial which is grown as an annual. For many vegetable growers growing celery is generally considered to be the ultimate vegetable gardening challenge. This is mainly because the traditional varieties require a lot of time and attention, especially if the grower wanted to blanch them (i.e. get sweeter white stalks). However the more recent varieties tend to be self blanching and so do not require quite as much effort. It has a very long growing season and has low tolerance for both heat and cold. To most people the normal benefit of home grown produce is the superior taste to shop bought produce however this is not really the case with celery. Also because of the length of time it takes to mature, in most areas it is not feasible to get celery seed to germinate out side as the temperature would be way to cold. The seeds are very tiny and hence tricky to plant. With the above in mind most amateur gardeners grow it for the challenge rather than for any other reason. So if you are up for it here is a guide to getting best celery you can. There are three basic type of celery (some people will argue that there are only two); Winter or blanching / trench; Summer or self blanching; and American Green ( it is this one that is sometime classed as Summer). Winter varieties can be white, pink or red and is available in tall and dwarf varieties. Summer varieties tend to be creamy-white with a miler flavour than the winter types, neither are they as hardy and need to be harvested before the first frosts. American Green varieties are also harvested in Autumn, but do not turn white etc. The soil needs to be deep and fertile as well as well drained, but needs the ability to retain moisture as celery requires a continuous and abundant supply of water. Any lack of water results in stunted growth or bolting to seed. Sandy soils are the least suitable as they can very quickly dry out. The ideal site is open and sunny with no shade, however if you live in an area that gets high temperatures during the day it will benefit from some shading during the hottest hours. Because a celery plant has such a long maturity time, unless you live in a location with long growing seasons, you need to start celery seeds indoors at least 8 – 10 weeks before the last frost date for your area. Sow winter varieties in early spring, summer and green are sown in mid spring. Caution: Always wash your hands after handling celery seeds and NEVER use seed meant for growing in food, as some seeds are treated with chemicals to prevent disease. Celery seeds are tiny and tricky to plant. Try mixing them with sand and then sprinkling the sand/seed mix over the pots you will be starting the celery plants in. Cover the seeds with just a little bit of soil. Celery seeds like to be planted shallowly. Germination will not happen if the temperature is not maintained above 15C (60F), once the first true lead has formed, prick the seedlings out into boxes or trays spacing them 5cm (2 inches) apart. Once all chance of frost has gone begin to harden them off before final transplanting. Once the temperatures outside are consistently above 15C (60F), you can plant your celery into your garden. Remember that celery is very temperature sensitive, so don’t plant it out too early or you will kill or weaken the celery plant. 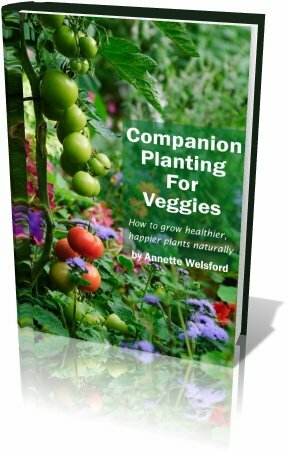 It is a good idea to only plant out the strongest seedlings first and then plant out the rest at weekly intervals, this will help to avoid a glut at harvest time. Now having said all that and given that you get a lot of seed in one packet, it maybe better to buy the seedlings at a local nursery and save a lot of hassle. This is done in late winter for all types, as summer and American green varieties are planted on open ground dig the ground over and apply a generous amount of organic matter in the form of manure or compost. For winter varieties you will need to dig out a trench 37cm (15 inches) wide and 30cm (1 foot) deep; fork over the bottom of the trench and then add plenty of manure or compost, then cover this with a layer of soil, the remaining soil from the trench is left in ridges along the sides to be used later for blanching. Plant out in late spring or early winter depending on the temperature. Start by giving the soil a good soaking, then carefully using a trowel lift the seedlings with a good amount of soil around the rootball. Plant with the crown just level with the soil surface. Set the plants 22cm (9 inches) apart, Summer and American green are best planted out in a grid pattern while winter varieties are planted along the trench. For the first few nights and at any time there a likelihood of a frost provide protection in the form of cloche or fleece. This is the same for all three types, keep them well watered DO NOT let the soil dry out! And keep the weeds down. For American Green that is it, for Summer varieties building a frame around the grid will help those plants on the outside of the grid to blanch. You can also add dry straw between the plants provided that it stays dry. Now for winter / trench grown varieties there is still plenty of work to be done, any side shoots or runners should be removed, do NOT apply a nitrate rich fertilizer as this will damage the stalks. To blanch winter varieties, once the plants are about 30cm (1 foot) high, wrap them in newspaper and tie with string, leaving the tops above the newspaper. Gentle rake in loose soil to surround the plant to a depth of 10cm (4inches) the idea is to prevent light getting to the stalks and not restrict the growth of the plant. You will need to repeat this process twice more once in late summer and then again in early autumn. There are specialist rings that some exhibitors use to blanch celery but they are not really necessary. Once the last earthing-up has been done leave the plants in the ground for several weeks before harvesting. Summer and American green varieties are harvested from late summer to mid autumn and should be fully removed before the first frosts. To harvest the Winter varieties carefully remove the soil that you built up around the stems until you can see the roots then gently use a garden fork to lift out without damaging the roots of the nearby plants.